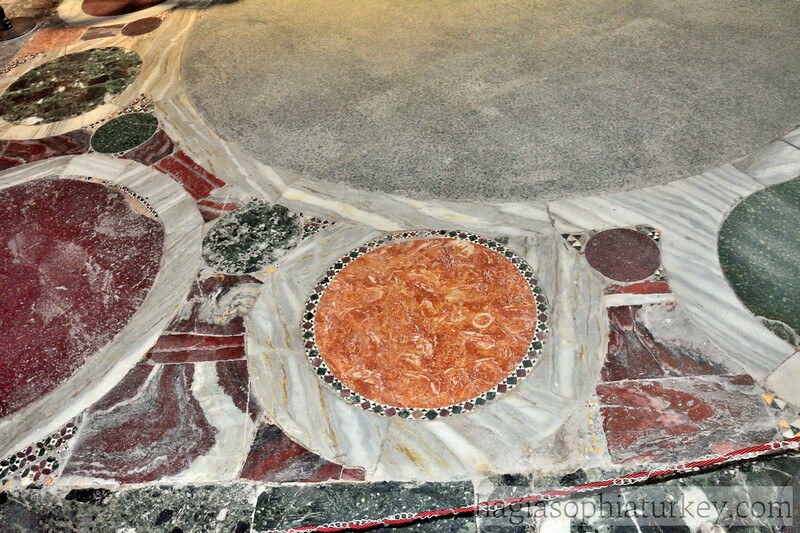 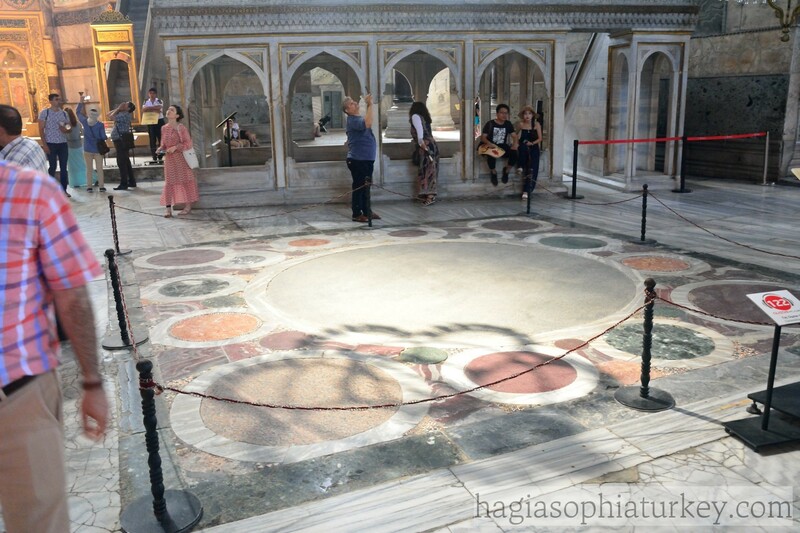 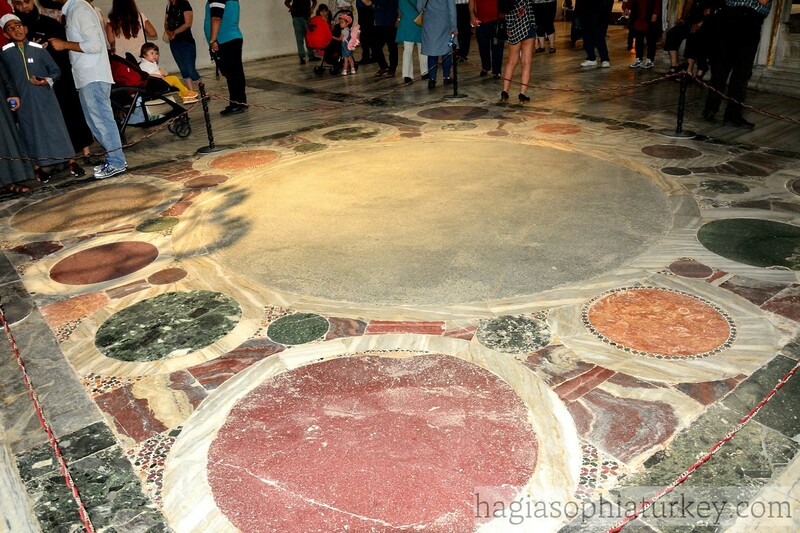 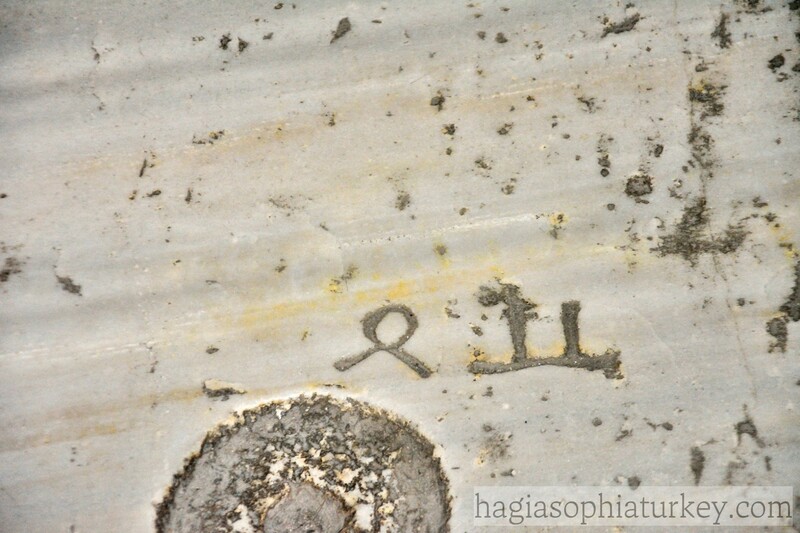 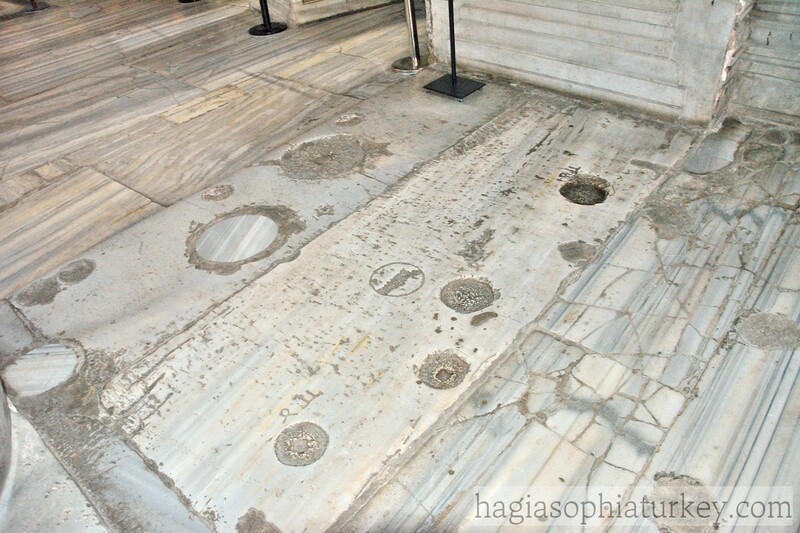 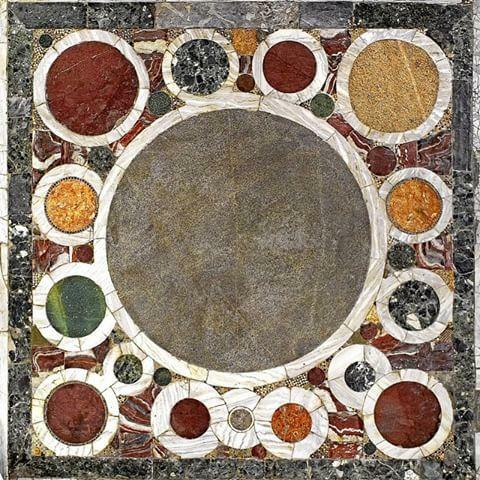 Omphalion, which literally means ‘’little omphalos’’ (navel of earth), is an opus sectile panel in Hagia Sophia. 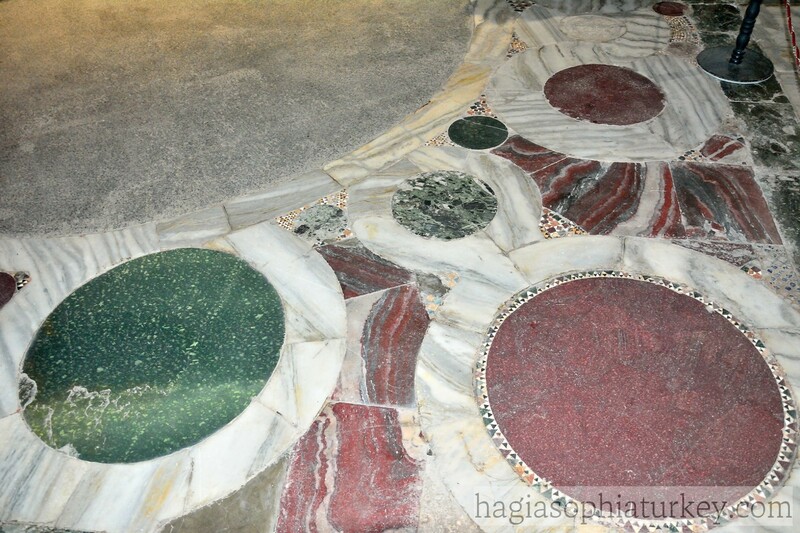 It consists of 32 rotae of different size of marbles, including red & green porphyry, green and pink granite ones. 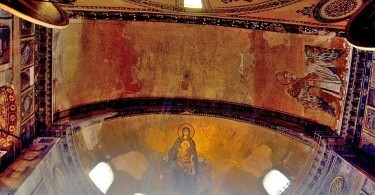 It is located just in the middle of south-eastern quarter of the square under the dome. 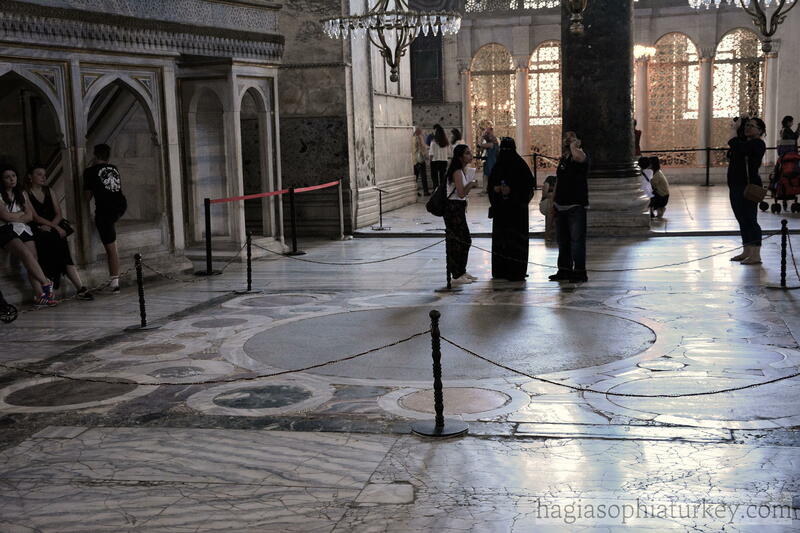 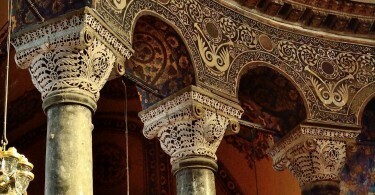 It was used to crown the Byzantine Emperors.